She’s been hobnobbing with celebrities and modeling designer outfits since she was born, and before she was old enough for kindergarten she appeared in Mom’s Peabody-award-winning Lemonade. 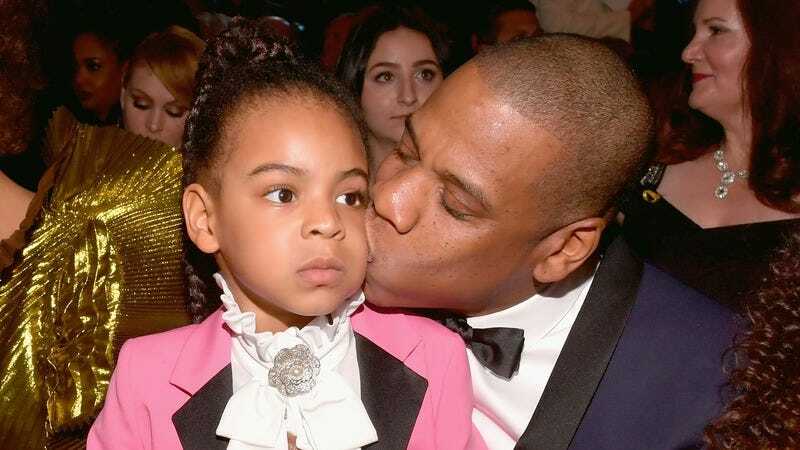 Now, at the ripe old age of five, it was apparently time for Blue Ivy Carter to prove that she’s JAY-Z’s daughter, and so she makes her rap debut on “Blue’s Freestyle/We Family,” a track from Dad’s new album 4:44. The song is a bonus track that only popped up when 4:44 hit iTunes last night, so that’s why we’re just hearing it now. Although her enunciation is still admittedly pretty muddled—although you can clearly hear the line “never seen a ceiling in my whole life”—her ability to stay on beat is quite impressive for a kid who’s still learning her ABCs. Imagine how good her flow will be by the time she hits junior high.